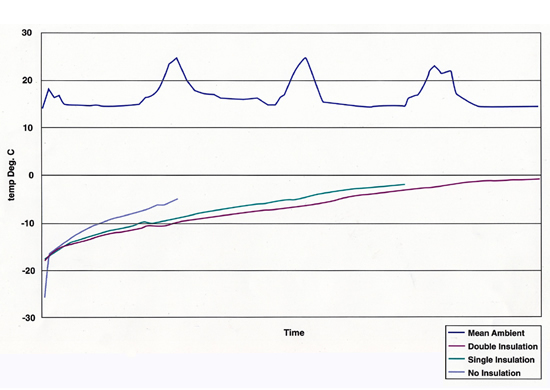 The graph to the right shows the temperature rise within a cargo of butter during three controlled trials in the Cambridge Refrigeration Technology (CRT) heat chamber. When the effects of daytime temperature rise was simulated over a four day period. The tests were ended when an increase of +8ºC were reached. 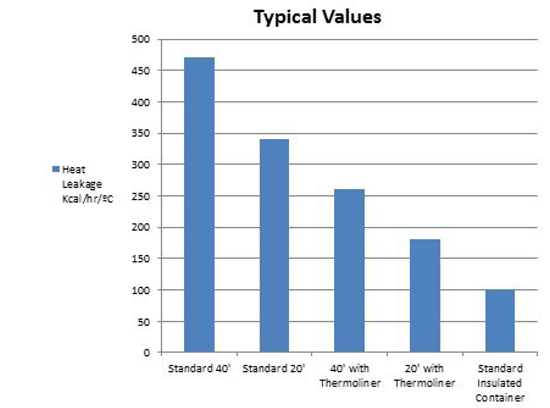 Rate of heat loss/gain will vary dependent on the temperature difference between product and ambient during transit. reduce the solar gain by up to 30%. Container position and exposure on desk/below deck/ in a stack. It is strongly recommended that a trial is carried out over a short period and this is extended if the results are successful.